Sweet breakfast. 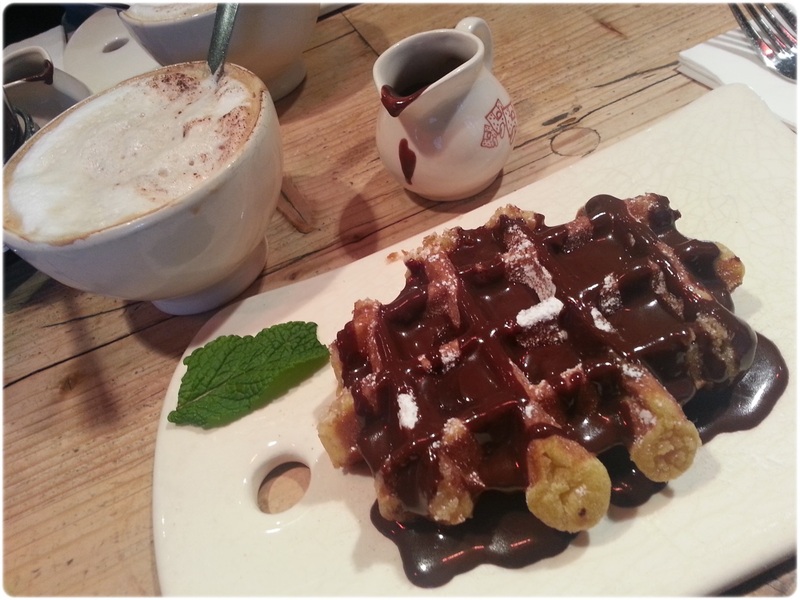 Love waffles and look at the generous serving of chocolate. I thought it was also unique to have the hot drinks be served in little bowls. 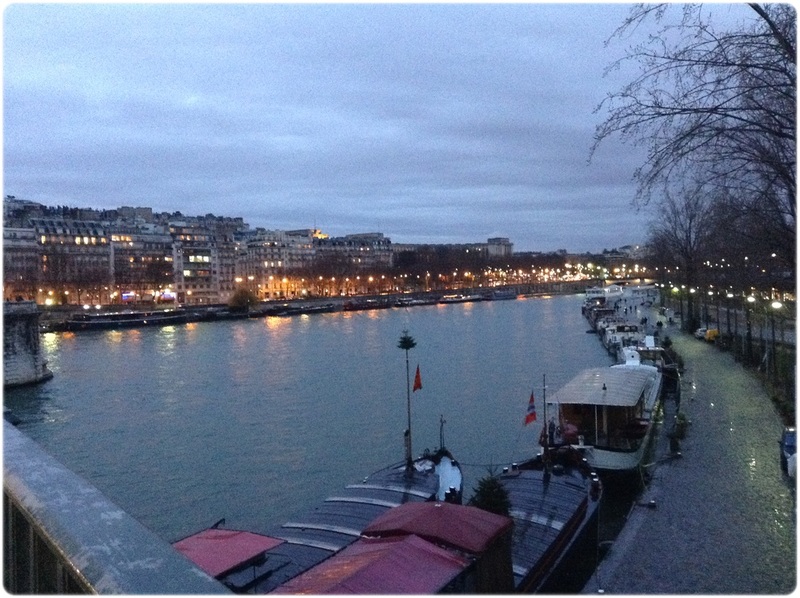 Since today was going to be our second last day in Paris, it was time to do some shopping. I have not bought anything at all this entire trip so I have to go get the souvenirs for everyone today. Wow, the experience being a customer of Chanel in Paris, was precious. Haha. 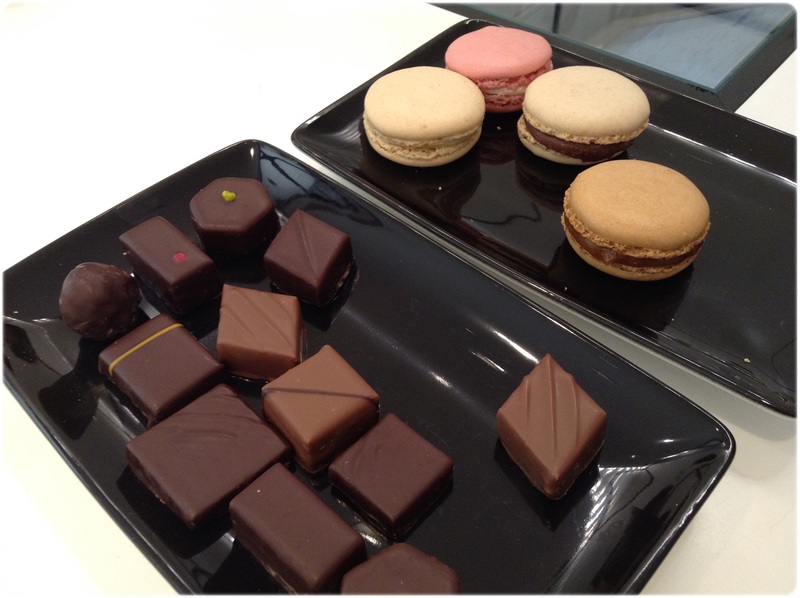 When we walked in, we were immediately attended by one of the sales person. The shop was obviously luxurious and customers walking in were treated like royalty. Lol. They even served these at the payment counter. Wow. Honestly, I will never fork that much money for a bag so this was a once in lifetime encounter for me. 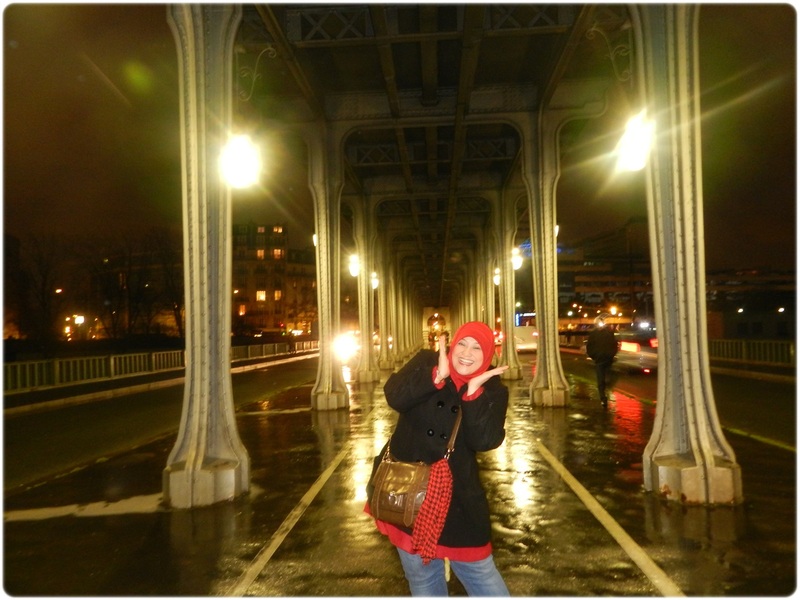 After Chanel, we went over to Longchamp outlet. The bags were more affordable here.I am here to get the bag for my sis in law and it was pretty crowded. Next to the entrance, there was a waiter guy waiting to serve you with food and drinks. They even had wine! So I guess everyone who walked in will purchase something from the store? You can’t just walked in and not get anything. Lol. 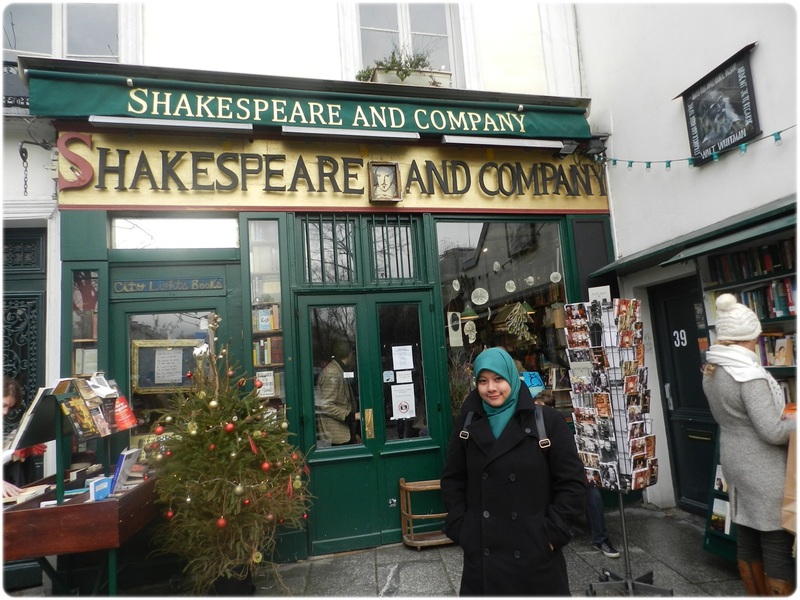 The bestie wanted to visit one of the famous book store called Shakespeare and Company. 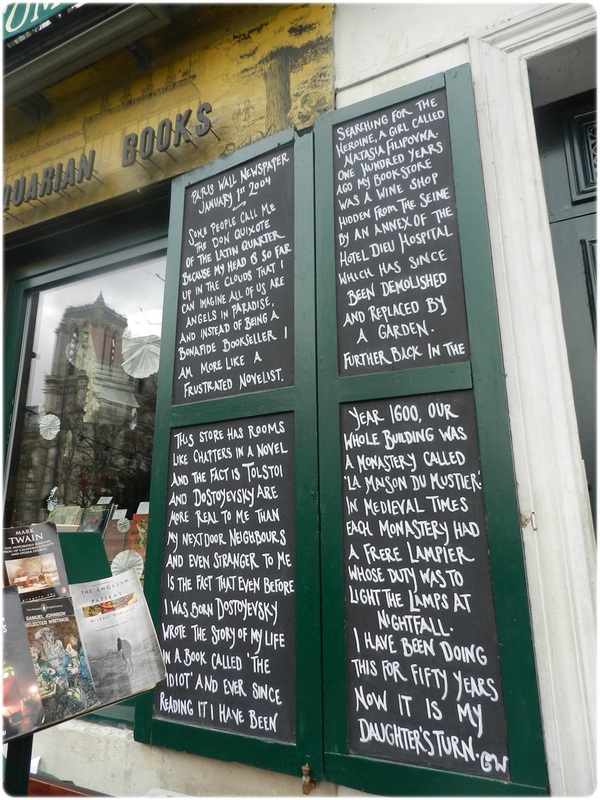 I was fascinated by the history behind this book store. 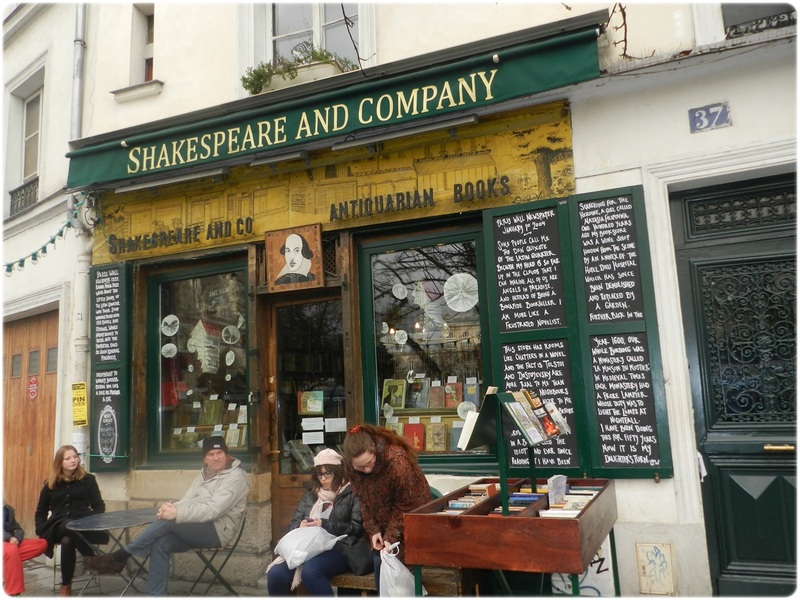 English language bookshop Shakespeare and Company is the most famous bookshop in Paris, and maybe the entire world, perhaps due to the changes it has been through time. The did not allow photography inside so I have specially googled some photos for you my readers and found these. These photos are not mine, they are from the internet. 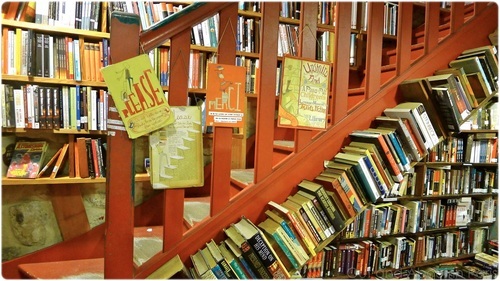 Even the staircase up to the second floor was littered with books. 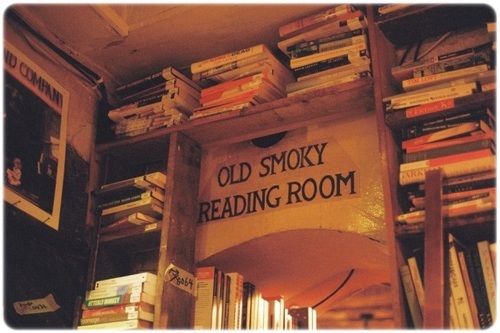 The second floor consist of different reading rooms. 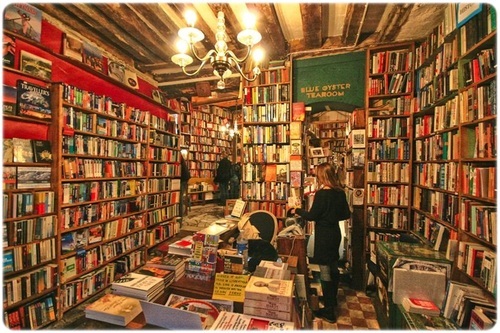 The books here looked really old, yet there are still people reading it. These books are meant for reading, not for purchase. One of the reading rooms even had a bed in it. Apparently, the original owner allowed people to sleep here. My favourite spot was this cosy space, with a small desk and chair. 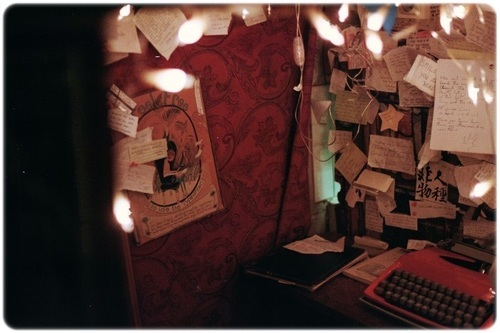 The wall had hundreds of notes and the night lamp in it makes it a perfect place to write. The typewriter must be what the owner used in the earlier days. 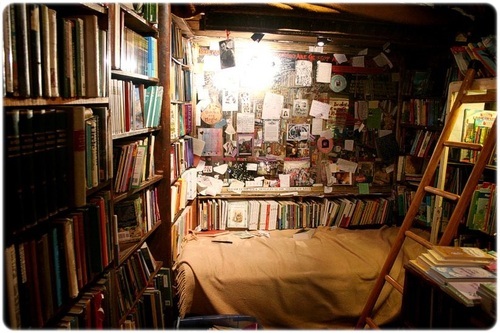 Even though I am claustrophobic, the space was like a safe haven for writers to transfer their thoughts into words on paper. We are here! It was only 5 pm but the sun was starting to set. 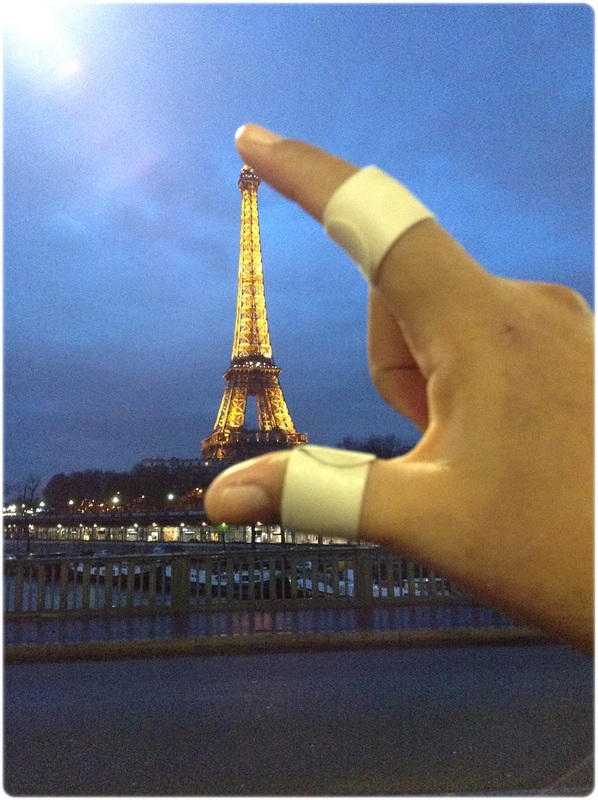 Eiffel tower in my hands! Check out my wrapped fingers. My skin was too dry so it was easily cut. I have never had so many cuts on my fingers. 3 bandaged fingers on the same hand to date. 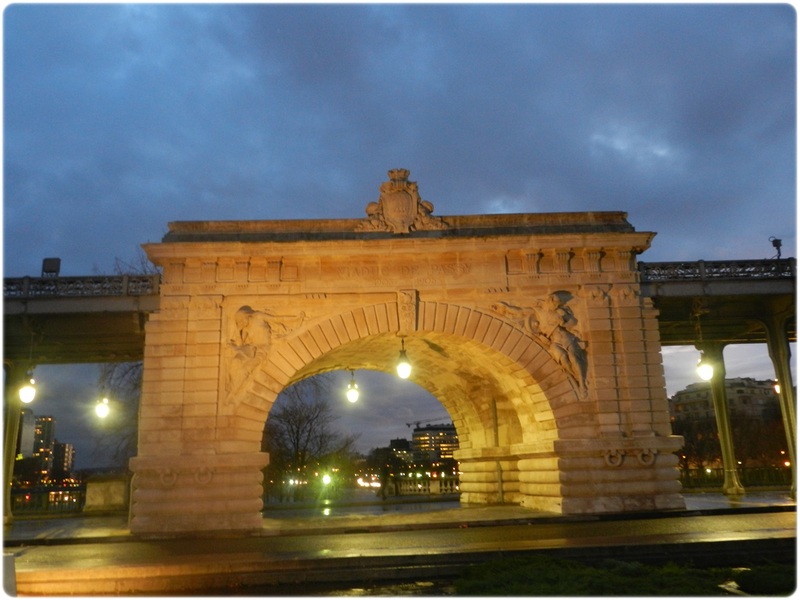 Actually it was a nice place to take a stroll and when the Eiffel Tower lighted up, it makes the whole place even more romantic. After about an hour of laughing at our silly selves, we finally made our way to the shops nearby to look for more souvenirs. 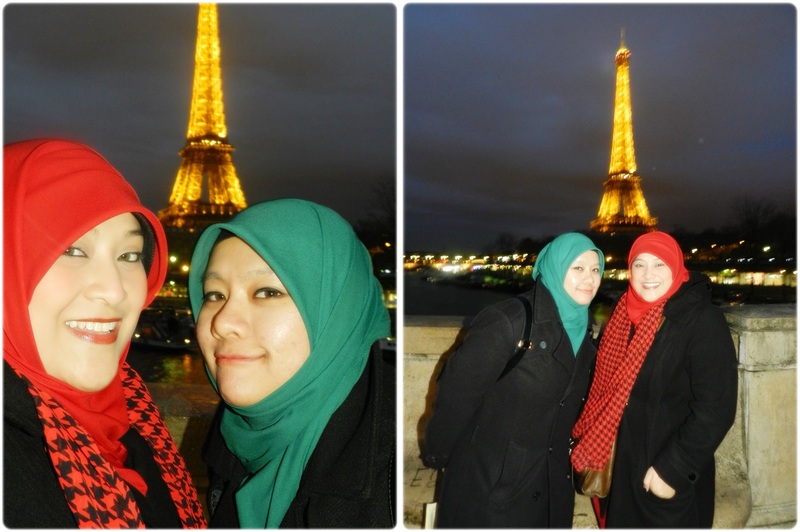 Its amazing that the shop owners that we bumped into in Paris are not from Paris originally. Most of them are from India. 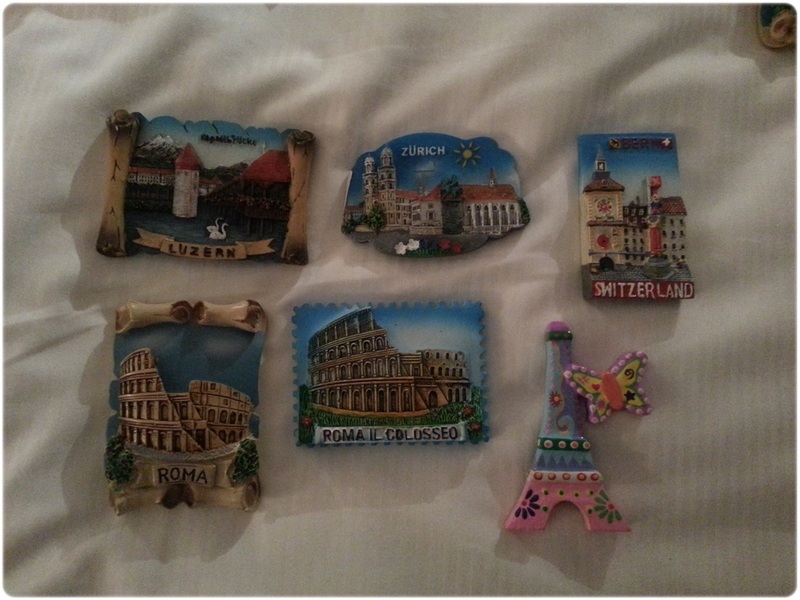 The only thing that I loved collecting were these fridge magnets of all the places we have been to in this trip. While sorting the stuffs, I realised I did not get any fridge magnet from Venice! Argh! No choice but to go back to Venice then. We did not have wifi so I went to the lobby to use the internet through my phone. 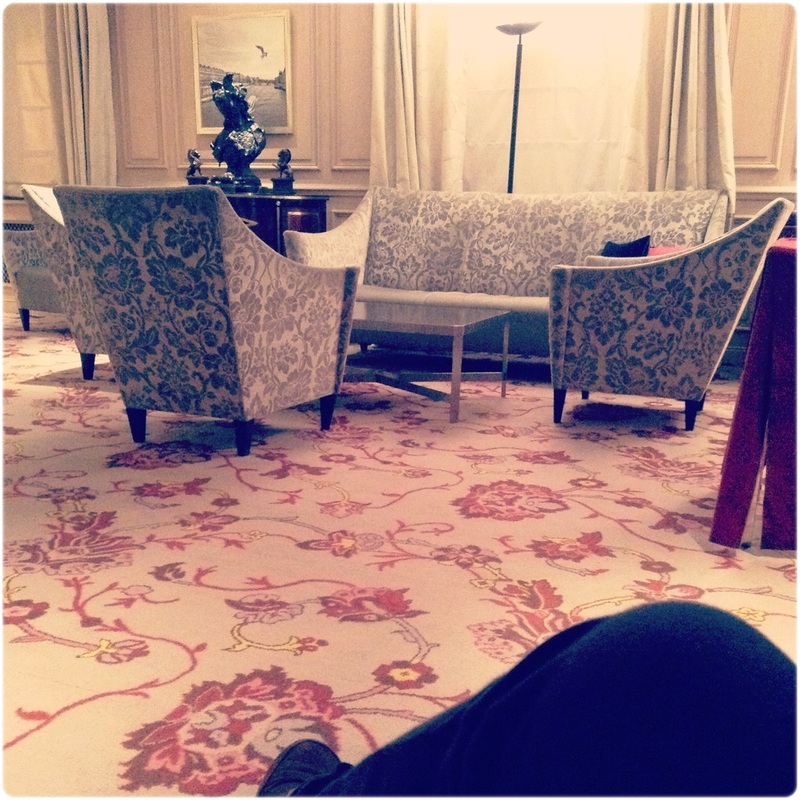 The lobby was a really pretty place so it was nice to just sit down, breathe and use the internet. I know, I cannot live without the internet, but in a way its good because it keeps me connected to my loved ones back home. I was told by mum to update whenever I can so that she will not worry. I think she secretly knows I can be pretty blur and I often lose my way. Really thankful for the time to sit down alone. I think its because I live such a hectic life that appreciate times that I do not have to do anything. Free time just for myself to do the things I like.